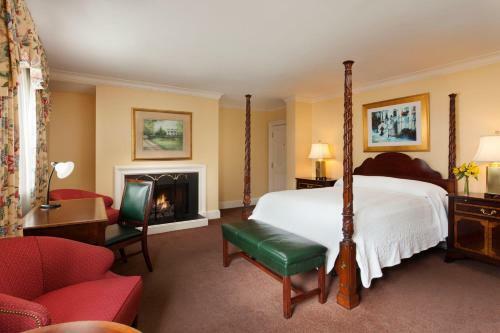 Rooms from $141.90 per night. Description This Savannah, Georgia bed and breakfast has non-smoking guest rooms and free breakfast. 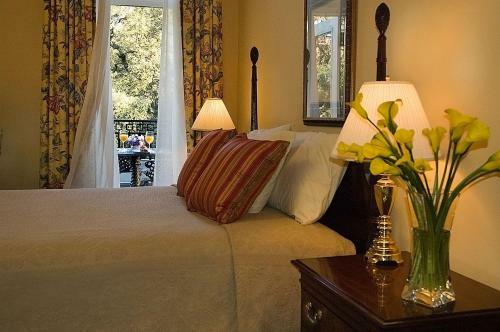 An elegant Southern inn on a tranquil square in Savannah's Historic District with complimentary wine-and-cheese socials a continental breakfast delivered to your room and lots of other nice touches thrill our guests who stay at the Planters Inn. 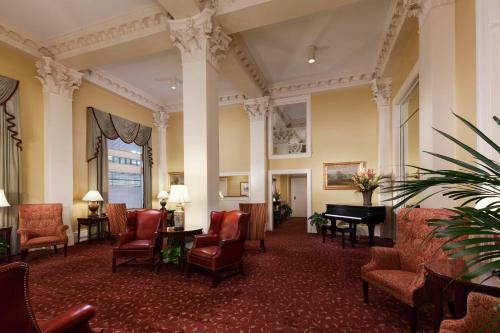 This gracious upscale 60-room seven-floor inn is among the top choices for our guests traveling to Savannah. Rooms are traditionally furnished and all have high-speed internet nightly turndown service free daily newspaper satellite TV terry bathrobes and high-end bath amenities. Refrigerators are available for an extra charge. Some rooms have wrought-iron balconies that overlook the horse-drawn carriages passing by on Reynolds Square. 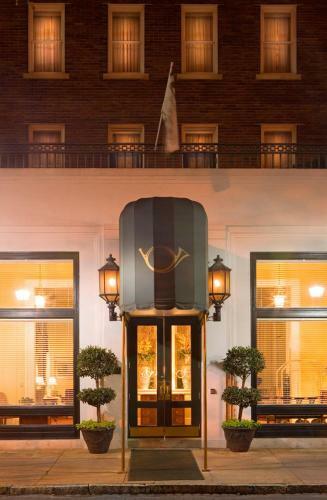 The hotel has concierge service and valet parking is available for a fee. All rooms are non-smoking. 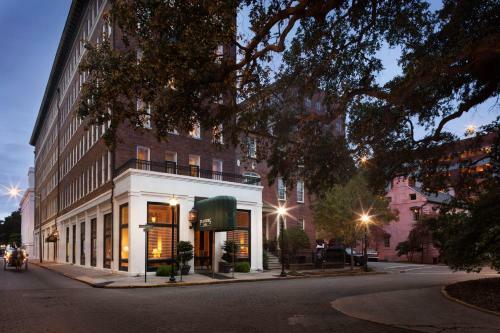 Planters Inn is within easy walking distance of everything in Savannah's Historic District including City Square and River Street's shopping galleries and dining. 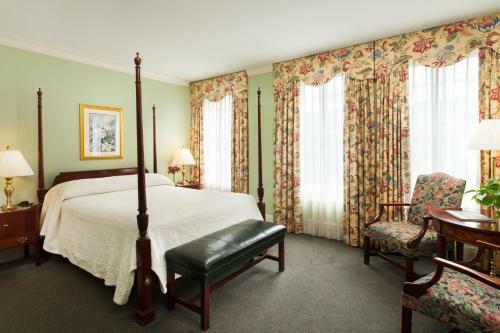 Planters Inn is 9.5 miles from Savannah/Hilton Head International Airport and the beautiful beaches of Tybee Island just off the coast are within a half-hour's drive of the hotel. 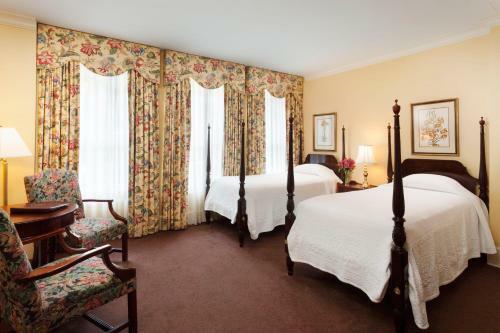 Add Planters Inn to your free online travel itinerary.